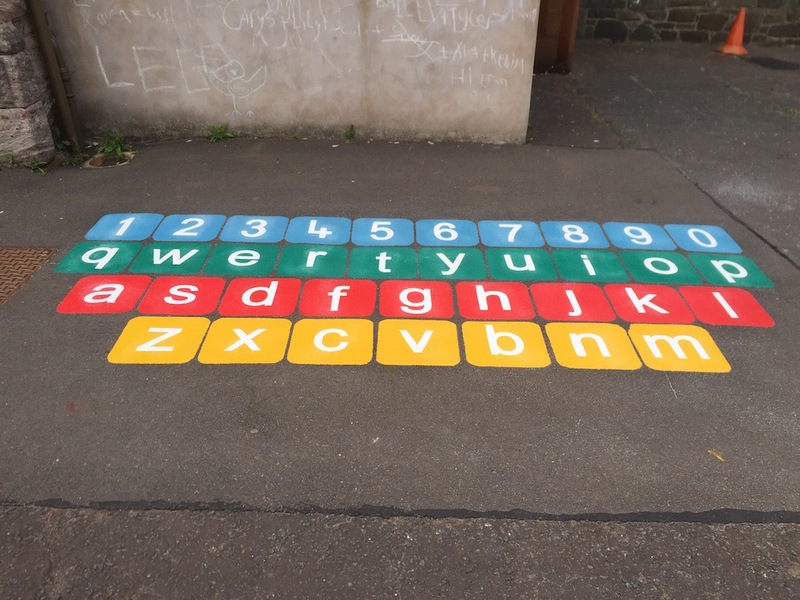 The qwerty keyboard markings are made up of 300mm x 300mm thermoplastic squares. 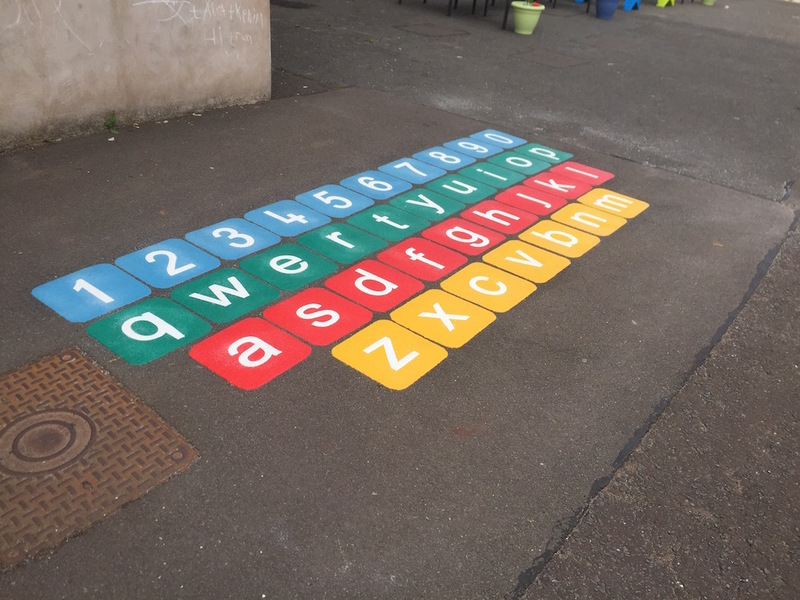 Each with the keyboard letter on each square copying the computer keyboard. 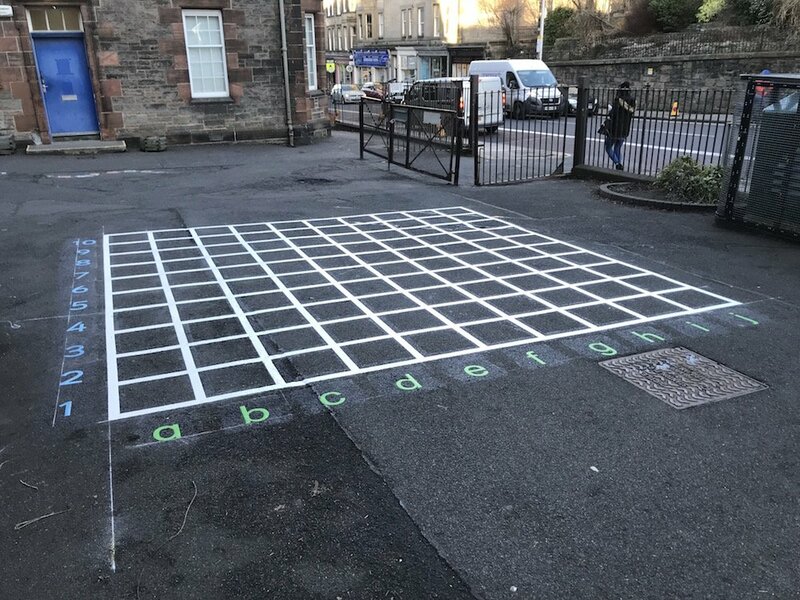 An excellent teaching aid for young children to learn the positions of the letters and numbers of the keyboard whilst playing at break of lunchtime. 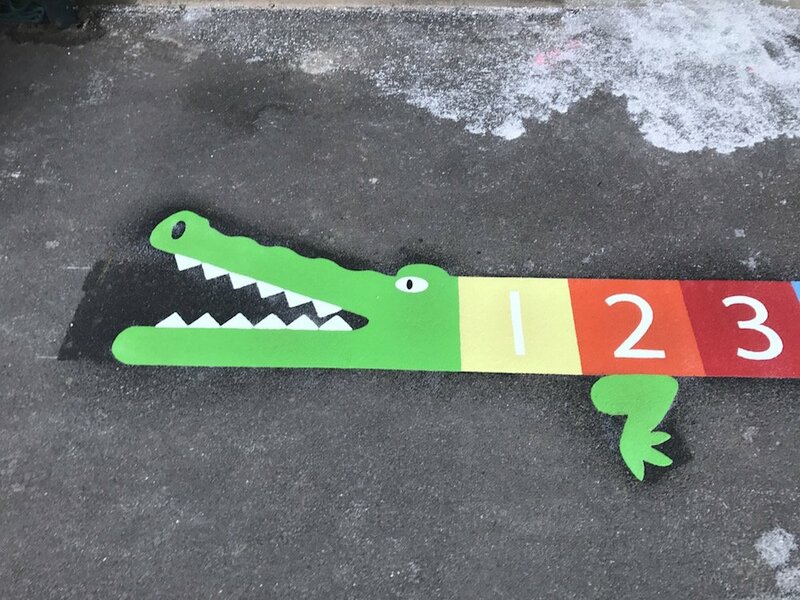 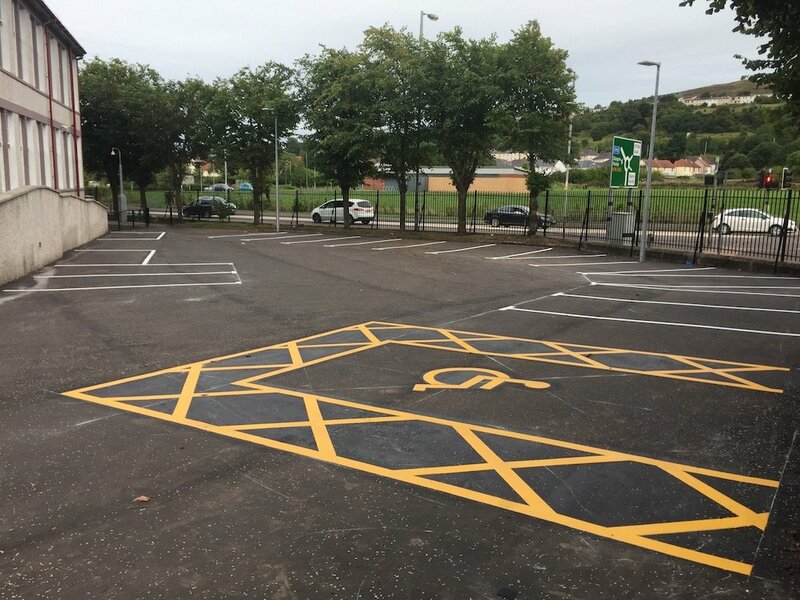 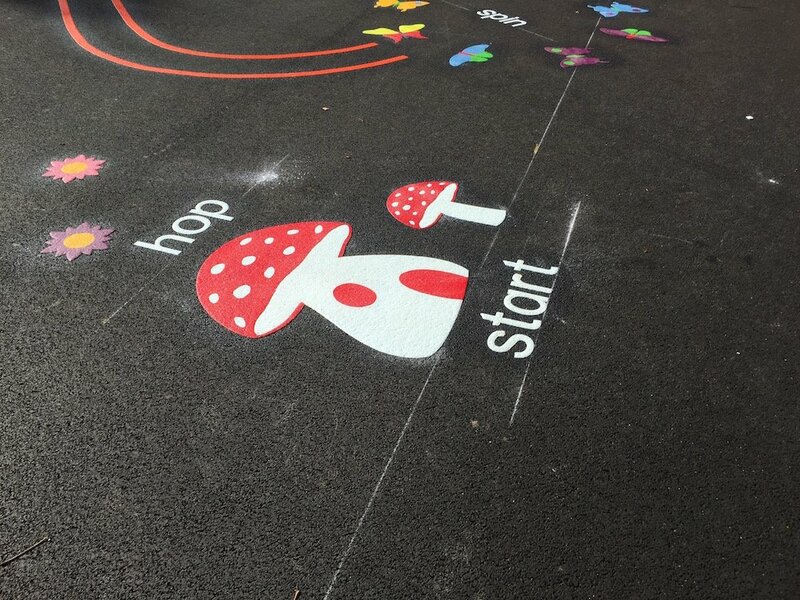 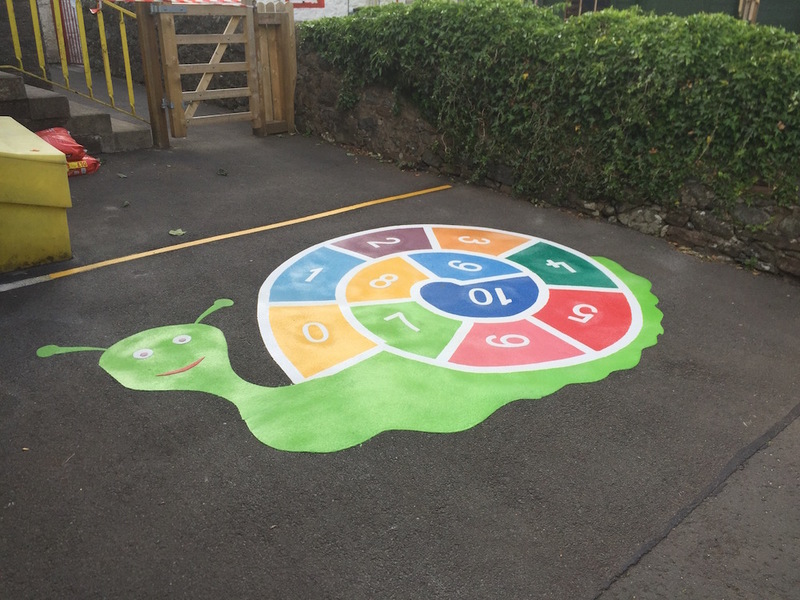 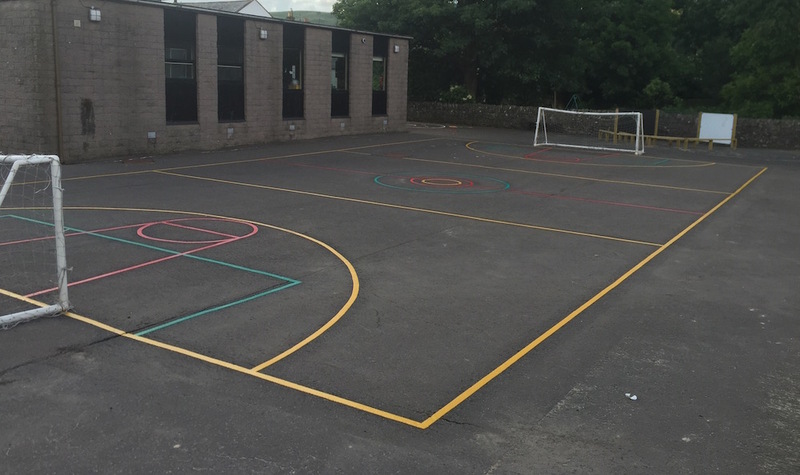 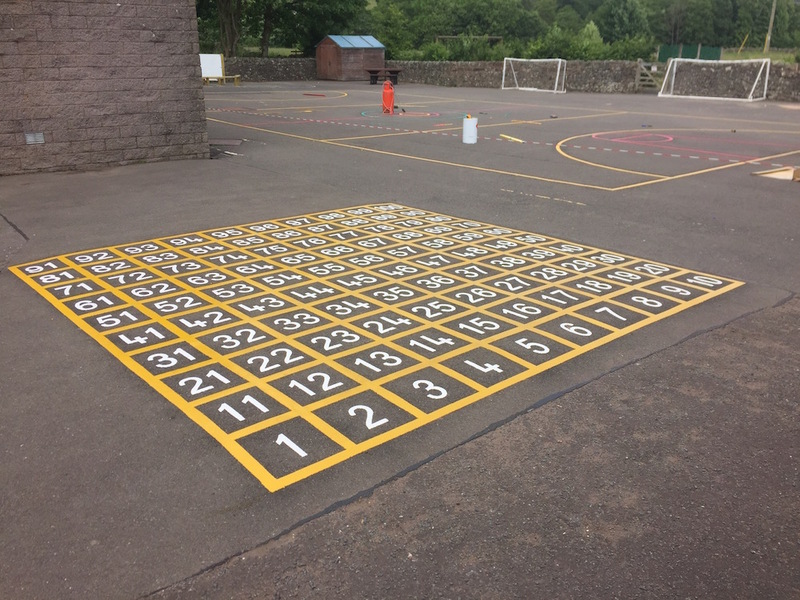 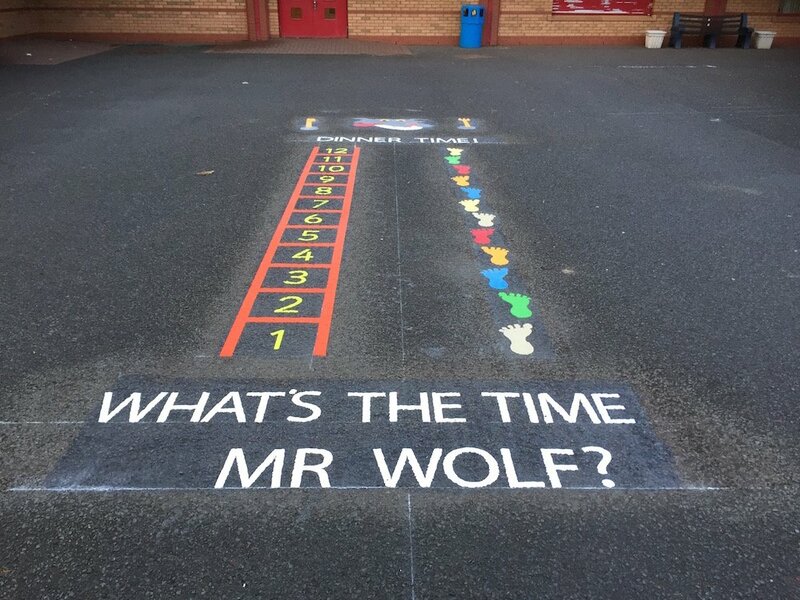 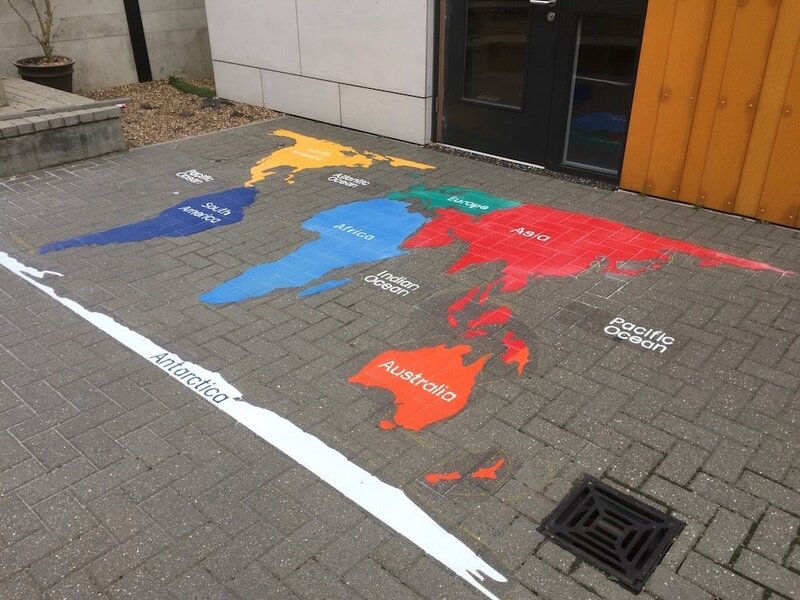 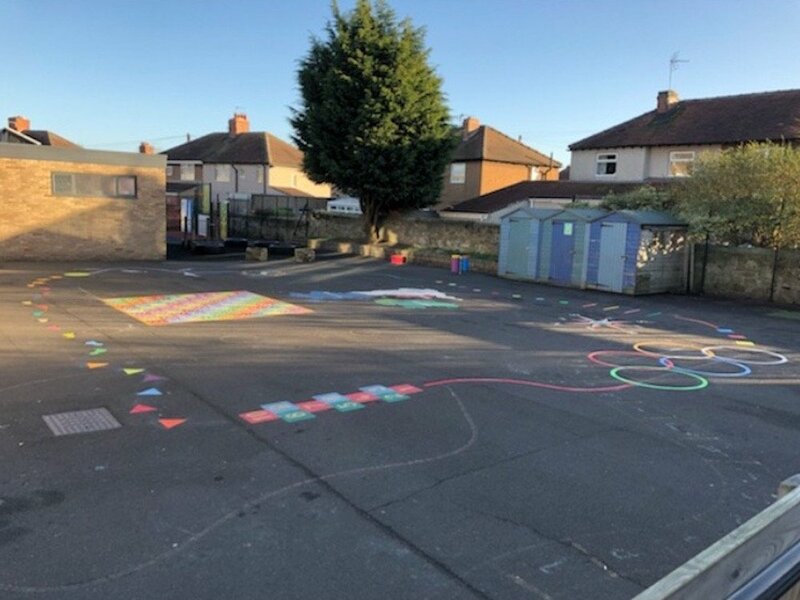 first4playgrounds have recently completed another playground markings installation at Moniaive Primary School in Scotland. 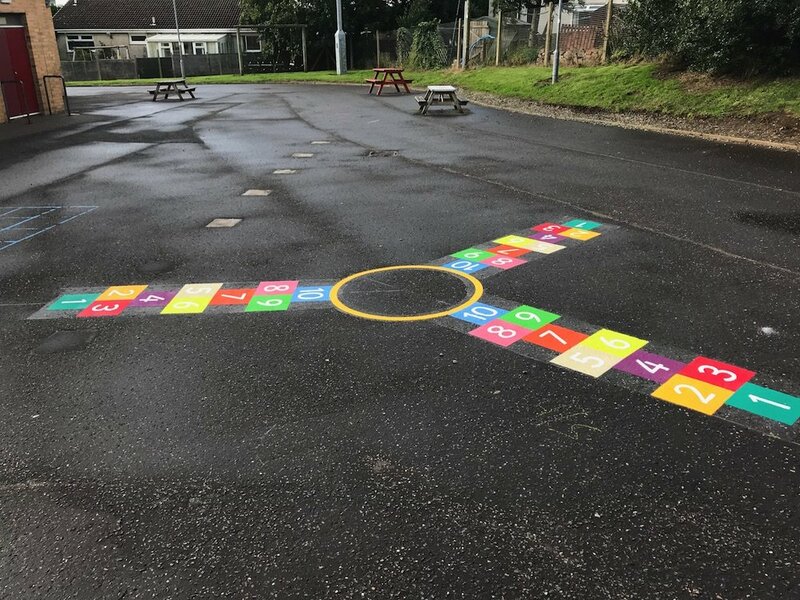 The playground also had a cycle track with zebra crossing and lollipop person for the nursery children to use their bikes, scooters and carts.